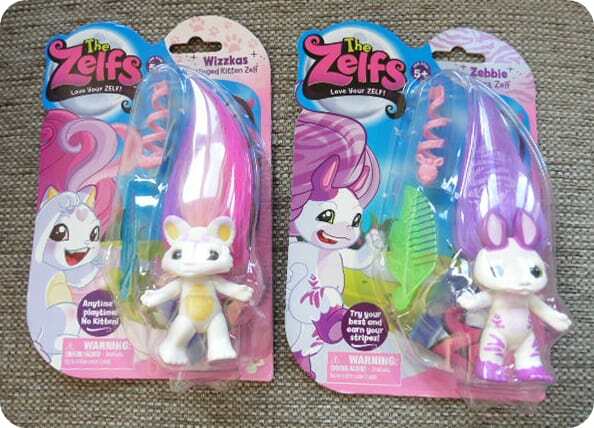 The Zelfs Series 5, proved popular with Miss M when we reviewed them a while ago, and now there are some new editions, The Crystal Zelfs from Character Toys. We received So-anne, a Teddy Bear Zelf with the magical power as a Dream Giver. 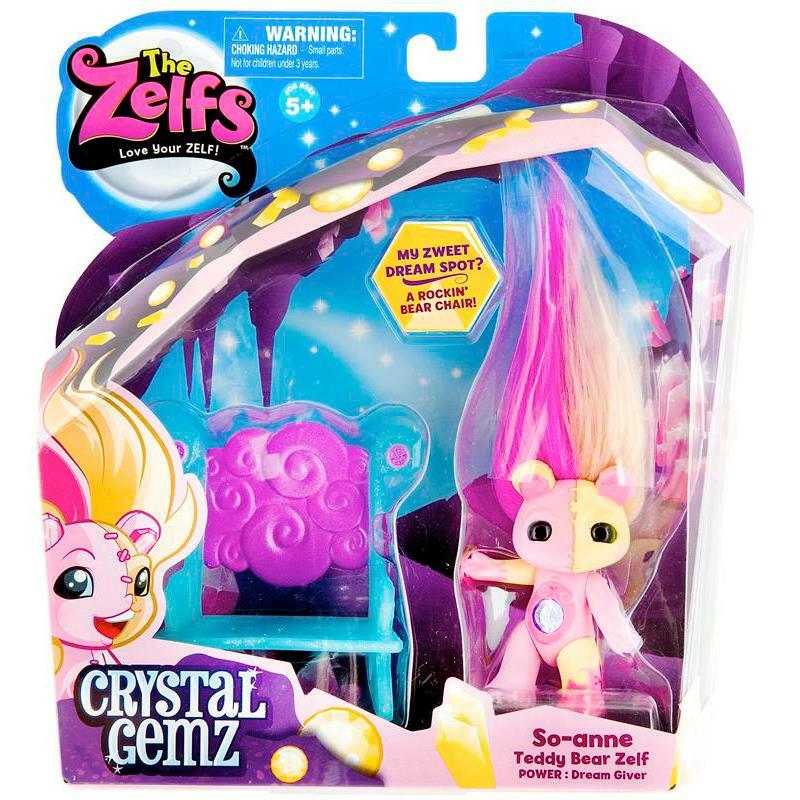 Each crystal Zelf comes with a crystal on their body from which their magical powers come from. 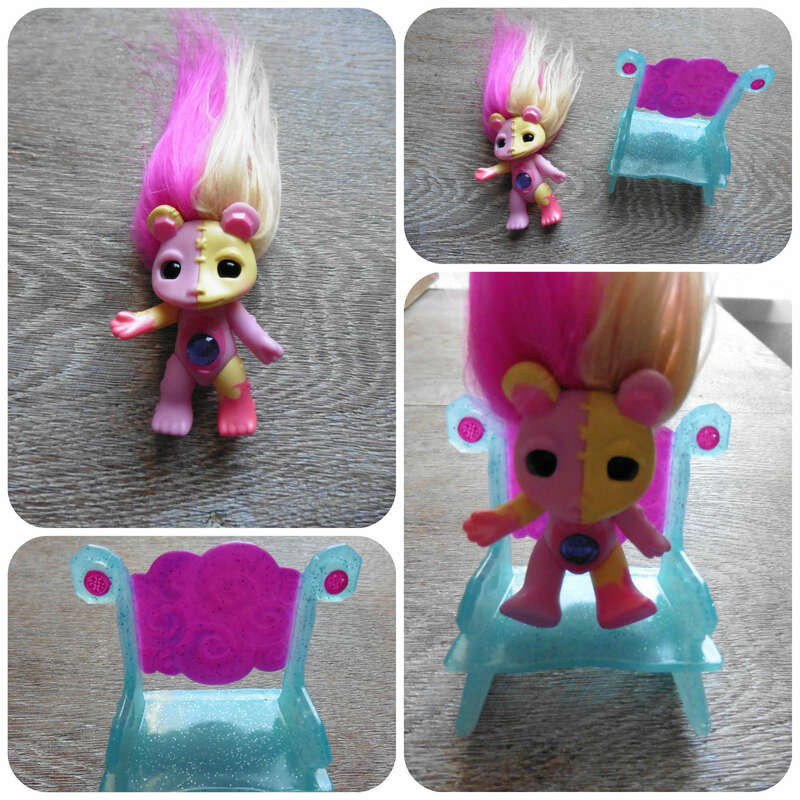 They also come with a glittery accessory to play with alongside the Zelf, in this case, a sparkly rocking chair. So-anne is a pink and yellow Zelf with hair to match. I find the Zelf’s well made and sturdy, perfect for everyday play and carrying around. They are built to last and children just love stroking their hair! The rocking chair is a cute accessory that the Zelf can easily sit in with bent legs. I think it looks lovely sat on Miss M’s bedside where she keeps her Zelf collection. The hair can be played with and the figure can be posed. The Zelfs are perfectly priced for party presents, or for children to save up a bit of pocket money to buy, and with lots of others in the collection, there is a great choice to choose from. With Moonicorn, Angelala, Sugar Bunny and Moona as other Zelf’s in the collection, why not take a look at them and pick out your favourite! All reviews are my own and my family’s opinions and we received the Zelf in order to write the review. Zelfs by Character Toys are rather cute little figures with wild hair, just waiting to be styled. They live in a secret garden called Zardenia where they each have their own secret home! When you purchase a Zelf, each one comes with a few hair accessories to comb and style as you please. 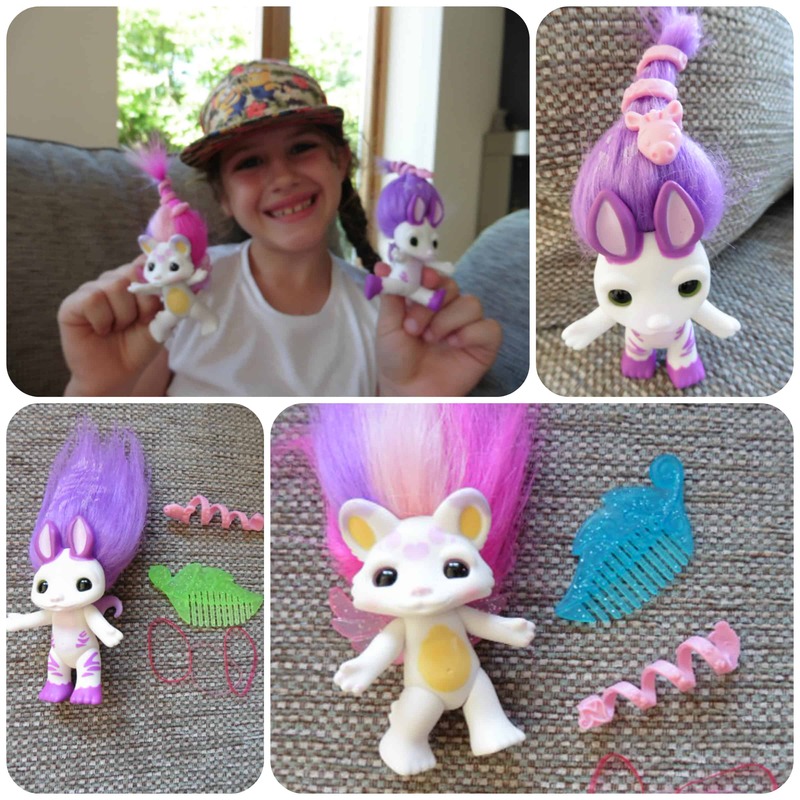 Miss M received Wizzkas, a winged kitten Zelf and Zebbie, a zebra Zelf to try out. Each Zelf stands at approximately 7cm tall, plus the same again for their hair! The figures are fully poseable and you can bend their arms and legs, sit or stand them. They each come with a hair comb, a twirly hair accessory and three hair bands to tie their hair up. The hair is long and soft and Miss M loved sitting stroking it! 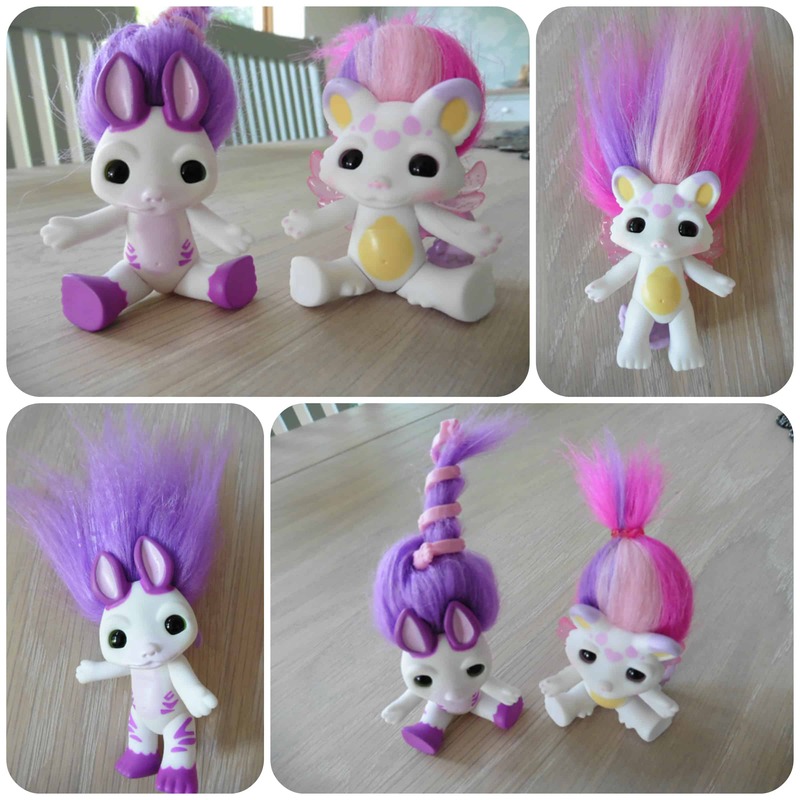 She particularly like Wizzaka’s multi coloured hair which comes in purple, light pink and hot pink stripes! The Zelfs are a great little toy, well made and sturdy, that girls can carry round in their bags to play with out and about. My daughter also loves standing them on her bedside table and redoing their hairstyles each morning and evening. Zelf’s would make a great party present for friends, a pocket money toy or a small treat for your child. Children love collecting things and with a whole range of Zelf’s available and new series coming out regularly there is a wide choice and different characters to suit everyone. All reviews are my own and my family’s opinions and we received the Zelfs in order to write the review. 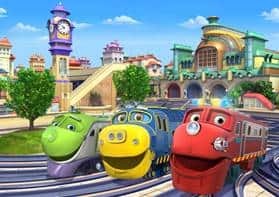 Chuggington has always been one of my 4yr olds favourite programmes, he loves watching it in the mornings over breakfast before heading to nursery. With the Series 5 currently airing, it’s soon to be released on DVD and with two new characters being introduced, Dock Master Skipper Stu and Daley this series is sure to be a lot of fun! We’ve had a sneak preview of Series 5 and it was thoroughly enjoyed by my little boy. He loved seeing a new episode and meeting the new engines and can’t wait to see the rest of the Series when the new DVD is released! All reviews are my own and my family’s opinions and we received a preview sample dvd in order to write the review.